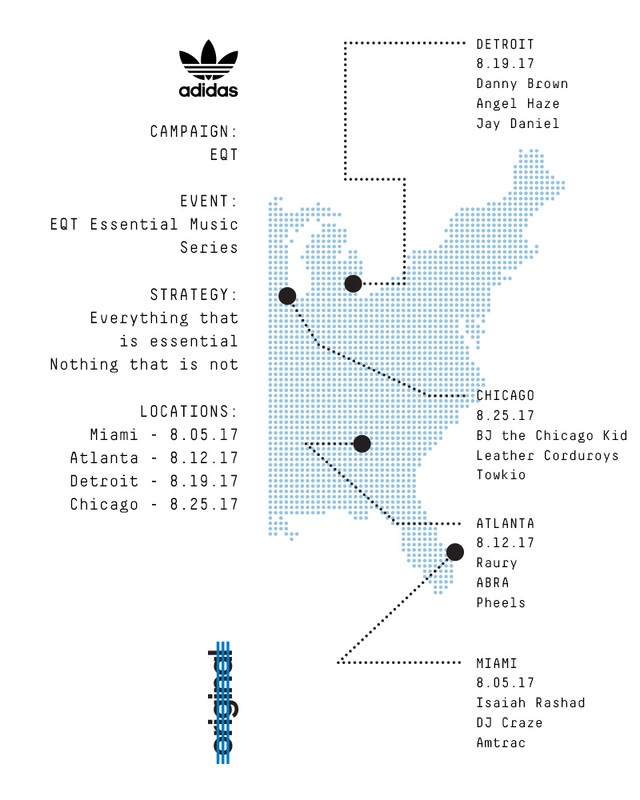 adidas Originals will be holding four more additional concerts throughout the U.S continuing the EQT essentialism series. Kicked off in Portland with DJ and producer Kaytranada, the tour is scheduled to stop through Miami, Atlanta, Detroit and Chicago. “For the entire month of August, adidas Originals goes back to the basics, standing by the EQT philosophy – everything that is essential, nothing that is not. Dialing each performance back to its raw essence, this free and immersive concert series is reminiscent of 90’s minimalism, Berlin circuit parties and Underground culture. Inspired by the groundbreaking movements in music that came from each chosen city, the ‘Essentialism’ concerts capture and celebrate what makes each destination unique. 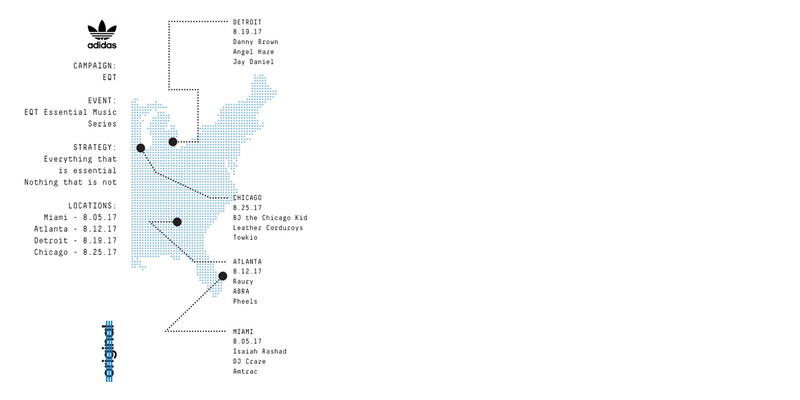 Show dates can be seen below, with further RSVP information TBD.